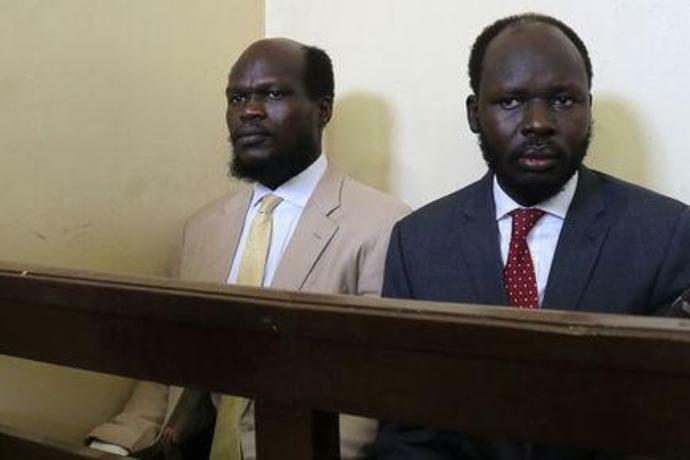 Biar's lawyer and lawyers for the other defendants denied the charges against them, which were brought on Monday under anti-terrorism and security laws. "The investigation was conducted under gunpoint to my head," he said. A childhood refugee from the long war that ended with South Sudan's independence from Sudan in 2011, Biar fled to the United States as a youth, was educated at Harvard and Cambridge and later worked at the World Bank. 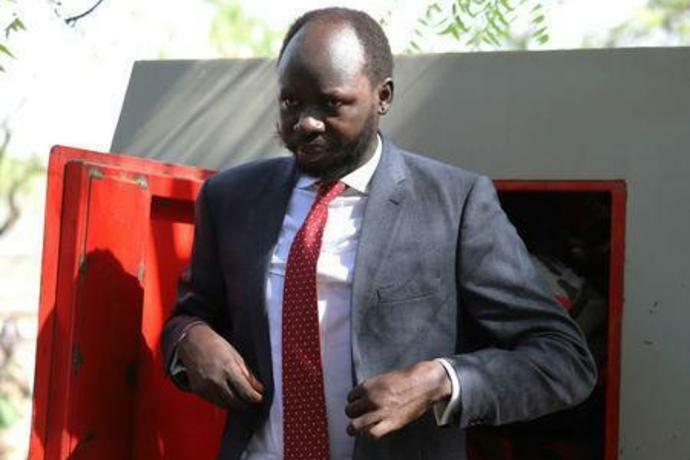 His supporters say he was promoting South Sudan's peace process when he was arrested. At its peak, the conflict uprooted a quarter of the country's population of 12 million and devastated its oil-dependent economy. A regionally brokered deal last year, which had Machar return to government again as Kiir's deputy, ended the fighting although pockets of violence remain in some parts.